In the current debate over whether or not to legislate the removal of individual vaccine exemptions, the quality of the vaccines themselves gets little attention. According to the CDC, mumps outbreaks are on the rise despite the fact that 94.6% of children in the U.S. have had two doses of MMR vaccine. To combat the situation, the CDC is considering adding a third dose of MMR to the recommended vaccine schedule. 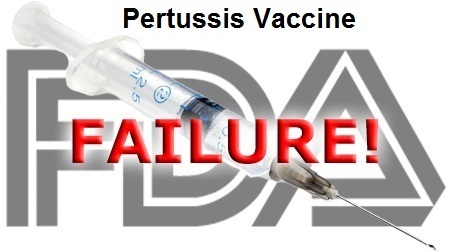 In 2010, California experienced the largest pertussis epidemic since 1958. According to the CDC, the U.S. has experienced increased pertussis disease despite high levels of vaccine coverage. Researchers studying the pertussis outbreaks determined vaccine effectiveness dropped to less than 9% by four years, and that the quality of immunization waned so rapidly that little protection remained 2-3 years after vaccination. Influenza vaccination has had no beneficial effect on flu mortality. The CDC indicates vaccine effectiveness has oscillated between 10-60% from 2005-2017, while systematic reviews show little to no benefit of inactivated influenza vaccines on flu morbidity. It’s clear that some vaccines don’t work as well as advertised. And yet, instead of first making a vaccine with better effectiveness, the solution is to use the force of law to make everyone get more shots of the failing vaccine. Even when significant vaccine failure rates for vaccines are acknowledged, the legislative solution remains fully supported. Concerns over the need for more effective vaccines are dismissed by apologetics pointing out that the current vaccines are better than nothing. The assumption is implicit: low immunity is better than no immunity. So, until a better vaccine comes along, accept the current shot at whatever level of immunity it provides. But the notion that any amount of antibodies is preferable to no antibodies at all, is dangerously wrong. The same exact antibodies that prevent disease at higher concentrations, can enhance the disease at lower concentrations. Instead of preventing infection, the antibodies permit a more invasive spread of the virus into different cell types, enhancing the disease and making it worse than if the child had never been vaccinated. This phenomenon is called antibody-dependent enhancement of disease, and it is a potential problem for vaccines that induce low levels of antibodies. It’s not just a theoretical concern. It has happened. Vaccine-induced disease enhancement occurred previously with a measles vaccine that produced low levels of immunity. The results point to an additional pathogenic mechanism that may be in play during measles virus infections and which may have particular relevance to the pathogenesis of the atypical measles that is seen after immunization. The effect of vaccine-induced disease enhancement has been seen in clinical trials for a since abandoned HIV vaccine. There may well be a delicate balance between the induction of protective immunity on the one hand and the induction of enhanced susceptibility on the other. The HPV vaccine exhibited the capacity to enhance HPV infections during clinical trials. Women who tested positive for vaccine HPV serotypes by PCR analysis, and were then administered the vaccine, were more likely to develop high-grade cervical lesions than the non-vaccinated control group. These observations have persisted beyond clinical trials, and antibody-dependent enhancement has been raised as a possible explanation. Perhaps HPV testing should precede vaccination and be contraindicated for women and girls previously infected. It’s been known for decades that non-neutralizing influenza antibodies can augment the uptake of influenza A virus strains, but it wasn’t until recently that the phenomenon of disease enhancement for influenza vaccination was observationally proven. In 2009, seasonal influenza vaccination increased the risk of pandemic influenza illness in those who received the vaccine. This result was confirmed in four observational studies. Antibody-dependent enhancement of disease has been proposed as the potentiating mechanism. Vaccines sometimes do nothing ─ they cause no harm as they fail to protect the vaccine recipient from disease. Sometimes vaccines do worse than nothing ─ they cause more cases, and more severe cases of disease in those who opt to be vaccinated. Low levels of antibodies cannot be viewed as less of a good thing. Ineffective vaccines are a bad thing. They stimulate low level immune responses that sometimes potentiate the exact diseases they were intended to prevent. Legislation that would force the use of an ineffective vaccine must be abandoned. But that’s not enough. The ineffective product itself must be abandoned. According to the FDA, vaccine policy that mandates usage of an ineffective vaccine leads to disease outbreaks in older age groups that are more likely to suffer complications from disease. Vaccine policy aimed at preventing outbreaks and eradicating disease can only succeed when there is high vaccine uptake of an effective vaccine. If one is missing, there is no point in having the other. New vaccines are required. The continued use of some of the current, poorly-performing vaccines, moots any perceived necessity to legislate forced uptake, because no amount of vaccine uptake will prevent disease outbreaks. Even with 100% compliance, outbreaks would still occur because the vaccines are not effective enough to provide population level immunity sufficient to prevent epidemics. Furthermore, outbreaks will continue to occur in older age groups where complications from disease are more common, and mothers will have little to no immunity to provide to their newborns during those early critical months of life. Individuals should have the legal right to exempt themselves and their children from using the current products. For practical and ethical reasons, the conversation to mandate the use of vaccines shouldn’t even be considered until more effective products are available.